The Life Cycle Design is closely related to eco-design or design for environment but LCD is more appropriate within the design discipline that deals with the sustainability requirements of industrial products. Here, the goods have to be designed with all their life cycle stages. All activities needed for manufacturing its materials and then the product itself, its distribution, use and finally disposal are all considered to be one totality. Thus it takes from product design and goes to product system design, all the events that determine and accompany a product during its lifespan. 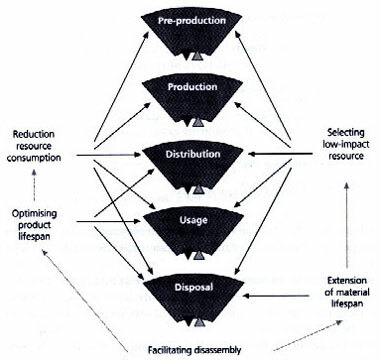 This process is very useful as it does not consider design where environmental impacts are reduced at one stage. 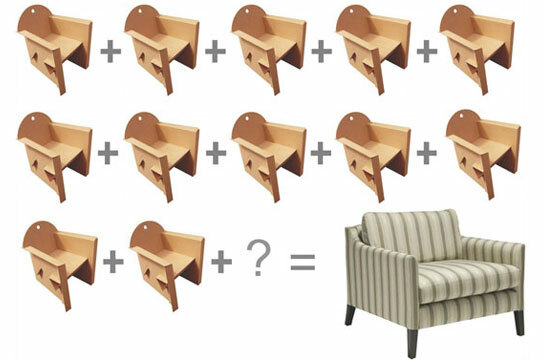 For example, cardboard furniture, where the pre-production and production is less demanding than the furniture made from traditional durable materials, runs out of use very fast and has to be substituted again and again. Hence, the overall impact of cardboard furniture is much higher than one that is made up of traditional durable materials. The LCD approach, which takes into account all stages of the function, has an advantage in identifying the priorities of the product design concerned. The disadvantage remains in more complex design where the information about the input-output of processes and about their impact on nature is limited. Another reason is the unpredictable operational and disposal techno-economical evolution. Not everything is known during the design process. Currently, many organizational and operational factors limit the applicability of life cycle design and other design approaches to sustainable development. For example, lack of environmental data and simple, effective evaluation tools are major barriers. Despite these problems, companies are beginning to pursue aspects of life cycle design. The future of life cycle design and sustainable development depends on education, government policy and regulations, and industry leadership but fundamental changes in societal values and behaviour will ultimately determine the fate of the planet's life support system . The relative importance of various factors under life cycle design stratifies and their orientation will vary from industry to industry and product to product. However, there are general design principles for these life cycle requirements that will be generally applicable to many items.